The Berkshire Botanical Gardens changed leadership in 2010. Under new direction Studio Two was selected to radically transform the communications and brand expression for the Gardens in an focused strategy of audience development. The Gardens have a small annual budget and limited internal resources. We also had to evolve the identity and brand in a manner that was palatable to the constituents. Over the course of multiple seasons we pushed the envelope graphically, introducing a bolder palette and imagery. 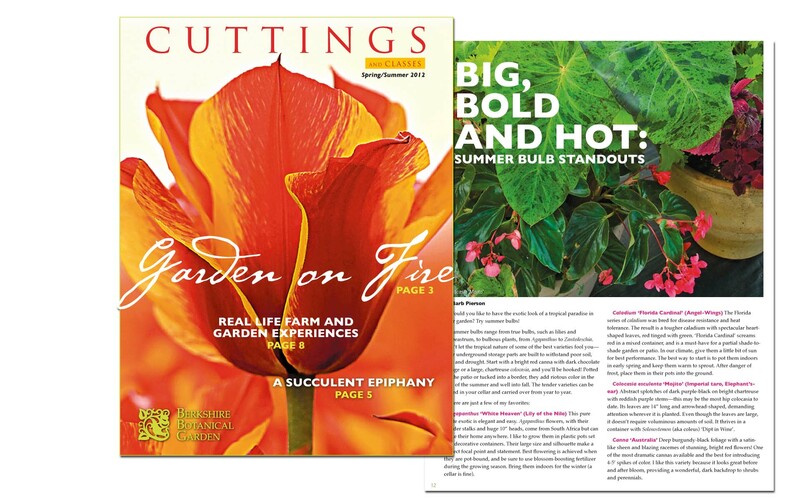 We worked closely with the Gardens to find efficiencies between their staff and ours and negotiated advantageous long-term relationships with regional print providers.